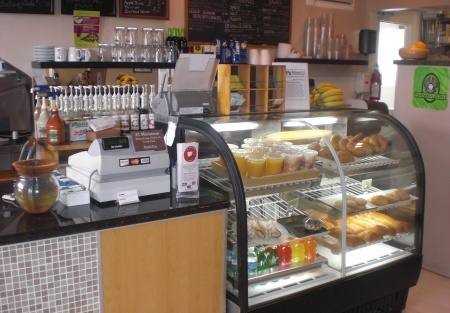 SellingRestaurants presents this coffee house/cafe in the heart of Pacific Beach for only 45k! Steal it now! Absentee owner is ready to sell this outstanding location on one of the busiest intersections in the beach area. Easy access with plenty of dedicated parking is a rare find in this beach community. Has a walk up window along with a nice patio dining area. No Exclusives in this center. Space is approximately 600 square feet with rent of only $826 per month...You've got to be kidding me! If you are looking for a great location with outstanding rent and low fixed costs to build your business around this is it. Current lease expires July of 2012 and there is a five year option available after that. Click on one of the orange buttons below for the address and pictures of this perfect opportunity to make money in Pacific Beach. No exclusions so bring your own concept!